The second season of The Melancholy of Haruhi Suzumiya continues the crazy antics of the SOS club, with extraordinary events occurring without the person causing them even realizing it. Kyon must somehow survive a holiday, the summer vacation, and filmmaking without the club leader Haruhi getting carried away too far. 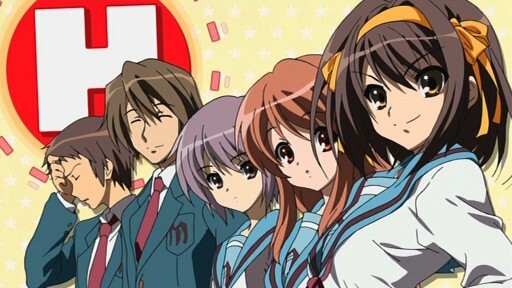 The second “season” of The Melancholy of Haruhi Suzumiya was actually not broadcast in the typical manner. Instead, new episodes were interleaved with the episodes that were originally broadcast in 2006. And instead of the jumbled order in which the older episodes were originally broadcast, this time all the episodes were shown in chronological order. The new episodes basically fill chronological gaps in the original season, and any stories that might be animated in the future will mostly occur after the chronological end of this season. The first new episode was uncontroversial enough, the result of which Kyon should be wondering if it might all be his fault but probably isn’t. It is the next set of episodes that will become truly infamous, the eight episodes of Endless Eight. If you are not the type to obsess over comparing minor details, then I would suggest watching only the first two episodes of Endless Eight and then skip five episodes to the last episode of Endless Eight. Or if you are really impatient, then you could get away with just watching the last episode of Endless Eight. Originally one of the three short stories in The Rashness of Haruhi Suzumiya , the fifth book in the Haruhi Suzumiya light novel series, someone must have come up with the brilliant idea of animating eight similar episodes in the spirit of the story. Obviously, tens of thousands of episodes was out of the question so they settled on eight, which was a reference to the month in the year and looks like the infinity symbol ∞ when viewed sideways. It’s the sort of idea that might sound great on paper, and I can see how it actually could have been brilliant artistically and entertainingly. Unfortunately, they forgot to put in the variety that could possibly have made it brilliant, and instead the stories for the Endless Eight episodes all tend to blur together. The sad thing is that Nagato Yuki even implied that there was a lot more variety than was shown. Instead of very different stories with different events and different paths to discovery, the plot for each episode were very similar to each other with only minor differences in detail. And the result was a whole lot of people railing against the Endless Eight episodes. At least I didn’t have any particular problem with the episodes, but that’s only because I felt no compunction against goofing off while watching them. After Endless Eight comes the Sigh of Haruhi Suzumiya, the backstory behind the incredibly amateurish movie that started off the whole anime series. 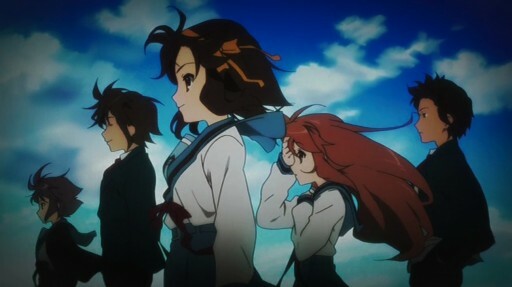 The movie bewildered me on first viewing and almost made me swear off on watching the rest of the series, and I only realized how epic it was after reading the light novel The Sigh of Haruhi Suzumiya . And the corresponding anime episodes do a pretty good job of showing that epicness, how a major calamity threatening the world was only averted thanks to common sense. Excellent overview of the new season. I look forward to the upcoming movie as well. I agree great ovreview, I’ve been waiting for a while to get my fix XD.